When we’re young our parents seem invincible, like superheroes. We really can’t imagine life without them, even if we sometimes pretend to. However, the loss of a parent is something all of us will unfortunately have to deal with at some point in our lives. Even if your parent was sick at the time, it still hits you hard when they finally let go. While everyone deals with loss in their own time and own way, there are several things to remember when processing the situation. First of all, forgive yourself. There’s plenty of guilt to go around when someone close to you dies, especially a family member or parent. Beating yourself up over something you said to them when you were angry or upset is only going to make things worse. Even if the last words you said to them weren’t the prettiest, forgive yourself. Relationships are hard, and none more so than that between a parent and a child. So maybe you didn’t visit as often as you could have. Hindsight is always 20/20. Give yourself a break and come to terms with what you did do to make their time here on Earth enjoyable. Grief is a strange animal. So many feelings are circulating through your body and mind all at once, it can become overwhelming. Give yourself the time and space to grieve and feel all of those things. There is no right way to grieve; men and women often grieve differently. However, allowing yourself to feel something, anything at all is important, because it’s part of the acceptance side of grief. Yes they are gone, and yes it is terrible, but you’re still here and have to move on with your life without them. Part of allowing yourself to grieve is recognizing that you may not process things right away. Some people feel the loss immediately after their parent passes, freely expressing their feelings in the open. Others have little spurts of grief, which may come out of nowhere. Still, others may have one extremely large build up of emotion that all comes out at once and last for several days or weeks, only to vanish after they get it all out of their system. It’s important not to compare yourself to your siblings or other family members who are all grieving in their own way. If you’re concerned that you aren’t able to grieve, our next point may help you. Whatever support means to you, if you’re having trouble coping or even processing grief, reach out and ask for help. If you’re close to and have siblings, talking and reminiscing with them may make things a little easier since they understand exactly how you’re feeling. Other family members can also provide support, lending their shoulders to cry on or even just sharing stories and genuinely asking how you’re doing. True friends will also be there for you through thick and thin. Don’t be afraid to call or email a friend and ask for some company or if you just want to talk. However, if you’re really struggling, a professional therapist, grief counselor, or psychiatrist can help you through the grieving process and give you the coping skills you’ll need to get through this sad time. The people we love live on through the memories we have of them. Sure, there may be physical objects around to remind us of them, but it’s the stories behind them that really make those objects come alive again. Aside from sharing stories of your parent with loved ones, looking at photographs can also help you remember details about them that may have otherwise been forgotten. Writing down memories, bits of conversation, personality traits, facial features and any unique facts about your parent when everything is so fresh with grief, can often become invaluable later as the years go on as well. Most importantly, take care of yourself as you cope with losing a parent. If you have children, it’s important to explain to them what’s happening and that you may need a little extra help for a while. If things get hard, just think of them. You won’t be able to properly care for them, unless you care for yourself first. 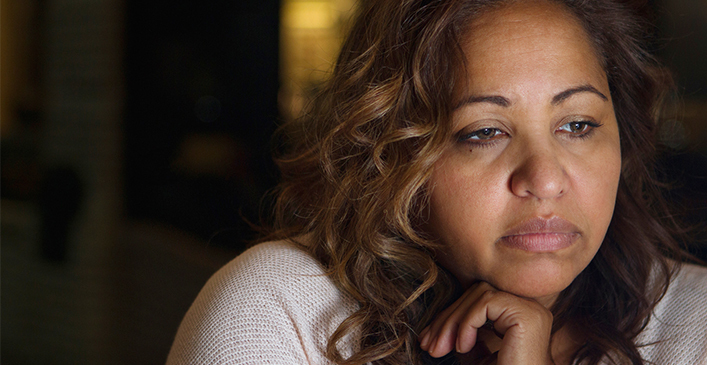 Grief can take a physical toll on the body and actually lower your immunity. Make yourself a priority and stay healthy. If you have a lot of responsibilities and work to take care of, schedule time in your day to unwind and even to grieve. The first few weeks are the hardest, but gradually it will get easier. Take each day at a time and remember that there will be good days and there will be bad days. Sometimes you’ll have a whole week where you keep it together, only to fall apart the next one. Grief has its ups and downs, which you just have to ride out the best you can.